We hope you'll join us April 4, 2019 for our annual football banquet, celebrating your 7A State Champions. The banquet will be held at First Presbyterian Church and tickets are $25. They can be purchased at the LHS Guidance Office or Marshall Jewelers. Free Admission - Join us TONIGHT in celebrating with our coaches and players at historic Bryant Stadium from 6:30pm-7:30pm (gates open at 6:00pm). We will be introducing the players, interviews with Coach Castle and players. We will also watch highlights from the resounding win over St. Thomas Aquinas! 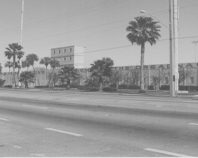 Want the latest Dreadnaught News? The year was 1988 and Dreadnaught Senior Quarterback Shannon Baker led the team to an 8-3 overall record. The Naughts finished 5-1 in the district with the only loss coming at the hands of the Manatee Hurricanes. Running back Quenton King rushed for over 1,000 yards and defensive back Willie Buford was rated as one of the top 100 players in the country. 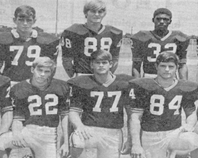 The Dreadnaught Defense was led by Tommy Dicesare, Tommy Dobson, James Conway, Joe Dunegan and Pat Turner. Coach Bill Castle notched his 100th career win against Winter Haven 25-7 and all eyes were on Sophomore sensation Eddie Goines. 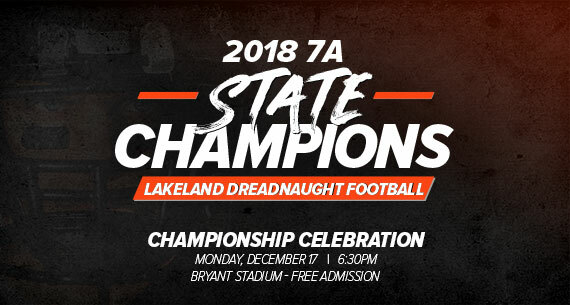 …30 years later, 2018, and the Dreadnaughts will take the field this Fall at Bryant Stadium with a tough out of district schedule that includes perennial state powerhouses, Apopka, Manatee and East Lake. 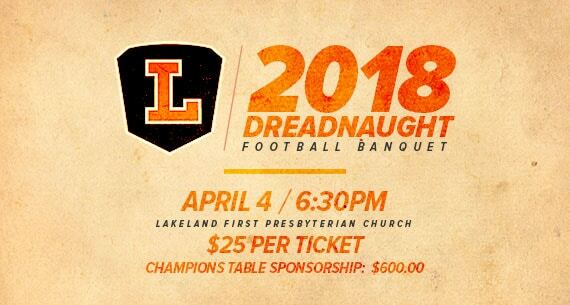 And so it goes, expectations will be high, and new players will emerge to write their names in the history books of Dreadnaught football. One thing is for sure…you won’t want to miss the Friday night experience at Historic Bryant Stadium! This year we will be building on the traditions of the past and charting an exciting course for the future. Get your reserved tickets today and join us for the 2018 voyage-it is sure to be exciting! Penny Campbell is your go-to contact for season tickets. She can be contacted at the LHS Guidance office 863-499-2900 or [email protected] with any questions. Go Naughts!